Creating a Community Investment Fund and The 25% Shift detail benefits and best practices of food localization. Today PVGrows is pleased to announce the publication of two new documents featuring our finance work— Creating a Community Investment Fund and The 25% Shift, both written by Michael H. Shuman, a fellow at Cutting Edge Capital, in collaboration with PVGrows. Together the documents will serve as outstanding resources for communities looking to create their own “community investment funds” to grow local farm and food businesses. 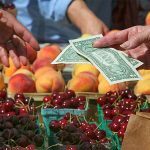 While there are many funds across the United States that support local food and agricultural businesses, nearly all of these funds only tap investment dollars from “accredited investors,” a legal status accessible to only the wealthiest 1% of Americans. This report investigates a community investment fund designed to receive investments from the other 99%; in other words, from community members themselves. Creating a Community Investment Fund is a handbook for communities who want to create a community investment fund. The bulk of the report is a profile of the PVGrows Community Food Fund, a proposed fund that will start with $2.5 million dollars to invest in Pioneer Valley farm and food businesses. PVGrows is fortunate to have the participation of four local community lenders with expertise in this type of community investing- Equity Trust (Turners Falls), Common Capital (Holyoke), the Franklin County CDC (Greenfield, and the Cooperative Fund of New England (Amherst). While Creating a Community Investment Fund will serve as a handbook for any community in the United States interested in creating a local investment fund, The 25% Shift details the specific economic benefits of food localizations as it pertains to the Pioneer Valley. The paper analyses the contours, impacts, and investment requirements for a 25% “local shift” in the Pioneer Valley, or getting 25% closer to being able to completely satisfy local demand for various foods with local production. This 25% shift would create an estimated 4000 new jobs. The paper outlines a strategy to enable the 25% shift to occur over the course of a decade. “We believe that this goal is big enough to inspire regional mobilization of the business, policymaking, and grassroots communities, but not so big as to be wildly unrealistic.” said Shuman. The key finding of the report is that over the next decade an estimated $279 million in capital will be needed to create or expand local businesses sufficiently to support the 25% shift. The PVGrows Community Food Fund, a proposed $2.5 million dollar fund which will invest in Pioneer Valley farm and food businesses, is only the beginning. The PVGrows Finance Working Group is now requesting proposals from potential administrative partners to assist in the design, development, and rollout of the PVGrows Community Food Fund that is detailed in the newly released document, Creating a Community Investment Fund. One piece of the new fund is already in place— the PVGrows Loan Fund, which is currently accepting inquiries from businesses in search of to up to $250,000 in loan capital, and also offers business planning assistance. The proposed partnership with an administrative organization will expand the type of capital offered by PVGrows to include royalty financing and equity. “Loans are of course a great service to offer expanding businesses, but increasingly we find innovative farm and food entrepreneurs here in the Valley are looking for additional financing options. The new fund will allow us to provide a much wider range of options and, best of all, to have that money coming from community members who have chosen to invest in their local food system,” says Sam Stegeman, PVGrows Coordinator. 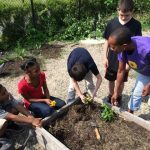 The two documents released today were commissioned by the Solidago Foundation and the Lydia B. Stokes Foundation, two of the nine local organizations involved in PVGrows’ food system financing efforts. Formed in 2008, PVGrows is a professional network of over 500 people dedicated to creating a healthy food system in the Pioneer Valley. PVGrows holds twice-yearly forums, convenes working groups on issues such as finance, job creation, entrepreneurship, higher education, and race and the food system.